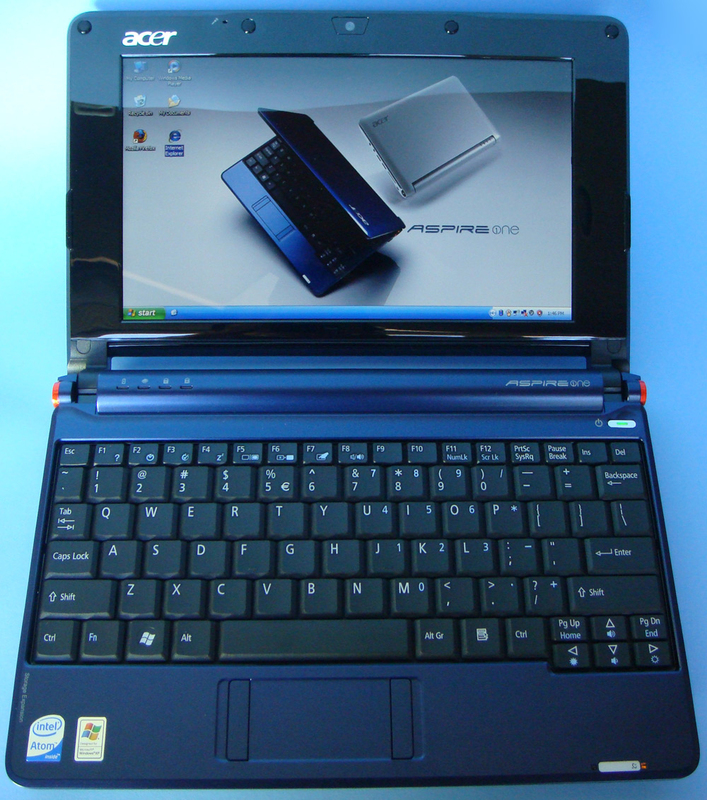 The Acer Aspire One is an affordable ultra portable notebook which has entered the sub-notebook market to compete with the well known Asus EEE PC. With an MSRP of $350, originally $100 more during the inital release, the Aspire One makes an excellent laptop for web browsing, email, and entertainment while on the go. Plus, it’s hardware configuration isn’t lacking the slightest bit either! 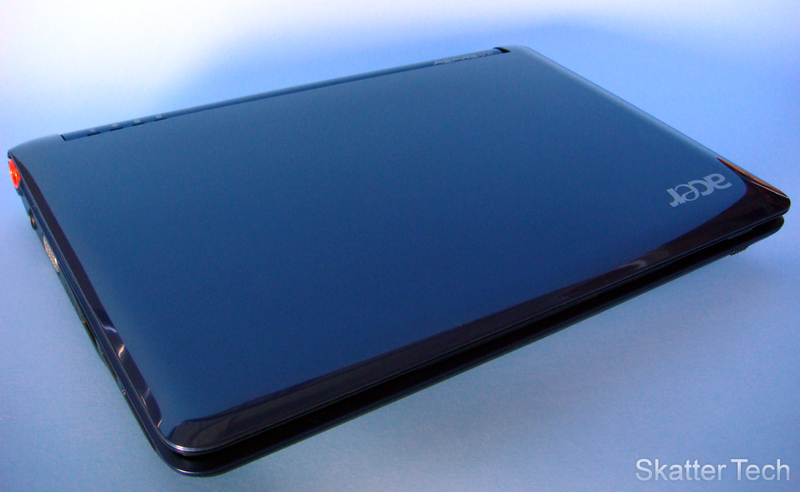 With the lid closed, the Acer Aspire One has a stylish glossy finish over its blue body. The bottom of the notebook is made of one piece of plastic except for perforations for air flow and a small cutout for access to the RAM. The external build is elegant, robust, and has a tiny footprint. The inside looks fairly good with a black keyboard and a blue surrounding, however there’s a large gap that appears between the lower and upper portion of the notebook which just looks unusual. There are two shinny orange pieces on the hinges, which stand out too much and takes away from the look in my opinion. The screen is surrounded by a highly glossy black frame which provides a nice contrast in some situations, however can become irritation when light reflects back at you. Most of the components are in the right places and are easy to access. Overall, the durability, feel, and looks of this notebook won’t be an issue. 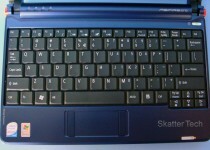 Like most sub-notebooks, the Acer Aspire One has an 8.9 inch display with a screen resolution of 1024×600. This resolution is just large enough to be able to view and use most standard-sized websites. I ran into occasional issues with some windows for certain applications being too large so the bottom or top wasn’t visible, but it wasn’t too bad. The LED backlit display is quite bright, sharp, and the colors produced are pretty vibrant. The viewing angles were fairly good. The colors faded much faster with slight change in either vertical direction; however horizontal angles remained intact for longer. The screen looks great for watching movies or viewing photos. 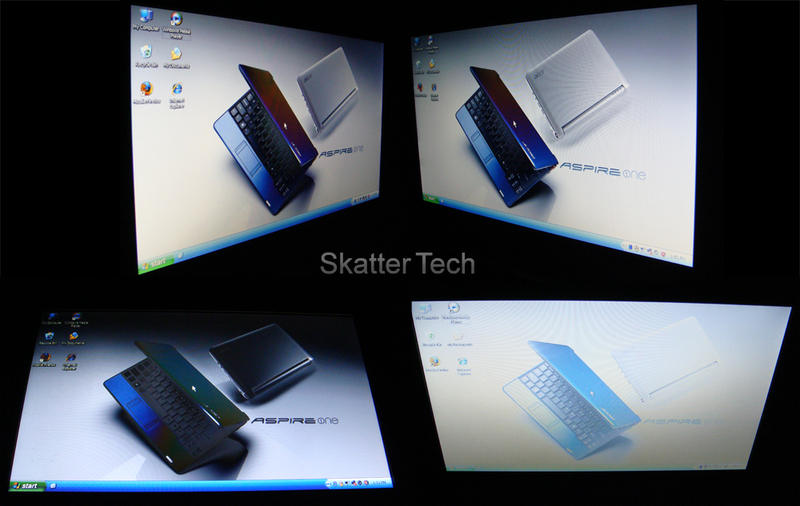 The Aspire One is running Windows XP Home edition which is probably the most widely used operating system today. So there shouldn’t be any complains there. The machine boots up and is ready to go in about 55 seconds. Launching applications such as Mozilla Firefox takes just a second or two. With 1GB of RAM you can have plenty of applications running at once without any issues. Just about all the applications I use on a regular basis are available for download, but if you have any programs that come on a CD or DVD, you’ll need to find an external USB drive to install them. I was also excited to see that Acer had already upgraded XP to Service Pack 3, which will save everyone the time and hassle of having to install too many updates. Having run XP on a machine with a 900 MHz processor and 256 MB of RAM, I can testify that XP is a very flexible OS and will run without any issues on this laptop. The keyboard is large enough to use comfortably. With a bit of getting used to, you can begin to type pretty fast without any issue. I was also glad to see that the keyboard didn’t have any weirdly sized or misplaced keys as I have seen on many other sub-notebooks. 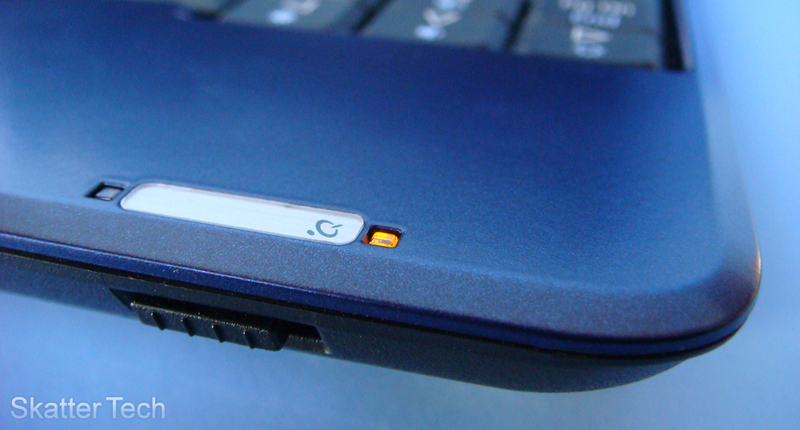 The main issue I had with the usability of the notebook was the awkwardly placed left/right click buttons. 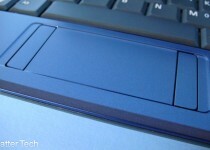 The left/right click buttons have been moved to the left and right sides of the touchpad, instead of placing them below. It was quite awkward to use and I often found myself clicking in the wrong spot only to realize that there weren’t any buttons there. Most people will begin to tap the touchpad to initiate a left-click, but will have no choice but to reach over to input a right-click. 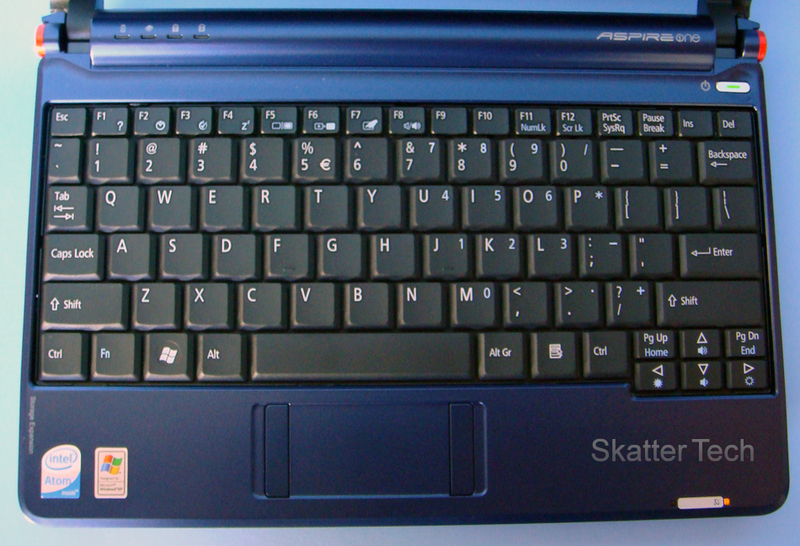 If Acer had moved the keyboard up just enough to allow room for normally positioned left/right click buttons, the Aspire One would have been much easier to use. 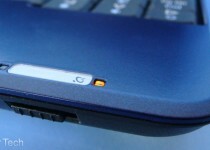 The speaker is located on the bottom-side of the Aspire One. It can get loud enough and remain fairly clear, but are nothing to brag about. The main issue would have to be that everything sounds quite muffled. Everything sounds different based of whether it is being held in your hands, on your lap, or on a flat desk. As for use with a headphone jack, the audio quality is excellent and will offer exactly what you would expect out of a laptop with a built in sound card. The Aspire One has a built in microphone and webcam making it a great little VoIP device. I made a few test calls using Skype over a WiFi network and the results were good. The microphone didn’t pick up to much background noise and the web cam was just clear enough to make out faces. The webcam performs quite poorly under poor lighting conditions. Both components are low quality pieces of hardware, but will do the job for communicating when away from something better. 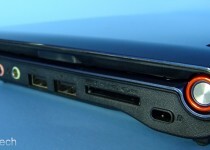 The Aspire one has a fairly good selection of ports. It unusually has two memory card readers, one just for SD and the other is a 5-in-1 reader. 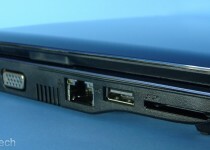 The reason for two was originally intended for the model with the 8GB SSD model since it allowed expanding the storage onto the SD card using the Linux OS. However they carried it on over the HDD version running XP, which happens to be quite unnecessary. 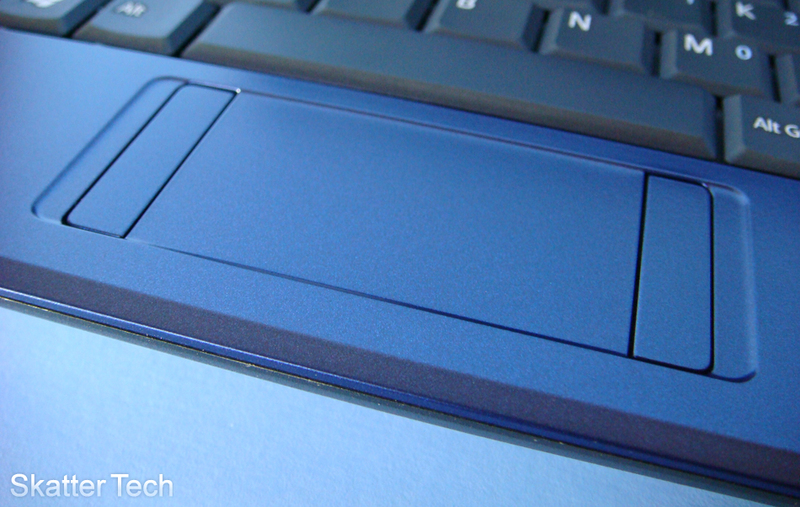 On the front of the notebook you’ll find a switch to toggle WiFi on or off. The right side has the audio input/output, two USB ports, and the multi-card reader. The left side has the power port, VGA port, fan exhaust, ethernet port, another USB port, and a SD card reader. The Aspire One is a fairly fast notebook. It actually has better specifications in just about every category than the 14 inch Sony Vaio I had been using up until just about two years ago. The HD Tune benchmark tool displayed an average of 49 MB/s data transfer rate, which is excellent. The wPrime 32 CPU test took about 124 seconds to complete which is better than most other sub-notebooks with other processors. The Aspire One is fast enough to do just about all the basic things you would need to do on your laptop on a daily basis. It obviously shouldn’t be used for video editing or gaming, but is great for multimedia playback, internet apps, email, chatting, note taking, and much more. 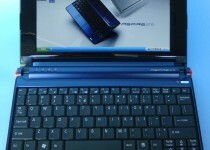 The Aspire One I reviewed only had a 3 cell battery; however 6 cells are also available. Unfortunately a 6-cell will protrude from the notebook. Benchmarks always vary, so I put it to the test in a real-life situation. With WiFi enabled and the screen at half-brightness, I was able to get about 2 hours and 40 minutes of juice out of it on average. I was mainly writing articles, browsing the web, or streaming media the majority of the time. The hours I got might not be entirely similar to what others may receive based of whether they are using hardware intensive applications or not. 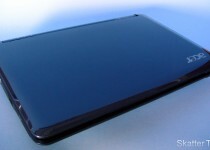 The battery life was around what other notebooks such as the Lenovo S10 receive, however I do wish it could fit a 6-cell without sticking out like the Asus EEE 900 does. Despite that, it’s fairly good amount considering that it’s got a standard HDD. 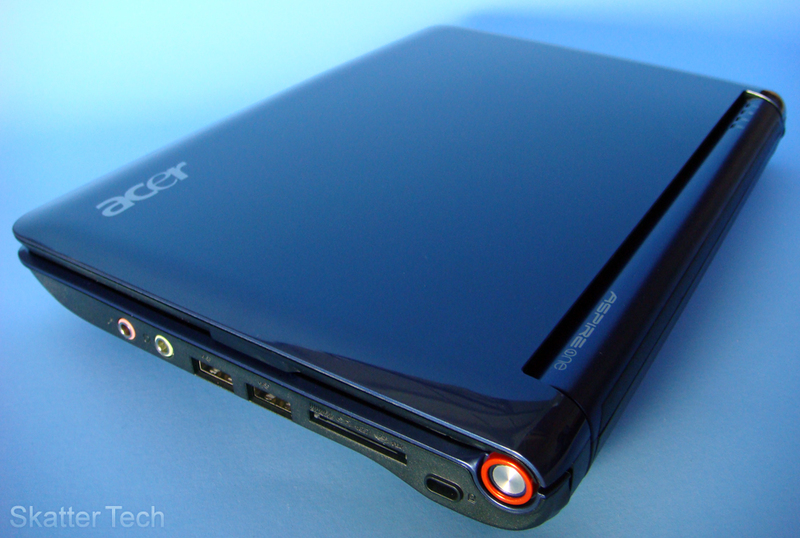 After having a chance to play with a couple of other main stream sub-notebooks such as the EEE 900, the Acer Aspire One is currently my favorite. Especially impressive since due to the fairly powerful hardware specs while it’s MSRP is now just $350 for the model in this review. And as I mentioned before the notebook doesn’t lack on looks either. However, my opinion might soon change as Dell and other companies are beginning to roll out more sub-notebooks with competitive specifications and pricing. Just about everything from the operating system, the hard drive space, and speed was satisfactory. The main downsides are probably the awkward positioning of the mouse buttons and the battery life. Overall, most of you folks who are looking for a cheap portable laptop will get exactly what you are looking for and won’t be disappointed with Acer’s Aspire One. I just picked one up at best buy, it is an awesome awesome machine. I love it! my friend has an EEE 700 and he wants to get this one now!!!! i hate hate hate the mouse…. i use a external mouse with this. everything else is good to work. I have one too. I love the gap between the base and the screen where I can grab this thing easily without fearing of slipping off my hands. Mouse pad is definitely the worst part of this machine. FireFox shuts down its screen twice on me; I had to reboot it. All in all, it’s a wonderful machine that can even be used as a asp.net web development machine. That must be a software issue, try re-installing it. Also try disabling plugins, which are often the cause. I have FF3 on the Acer in this review and there have been no issues what so ever. I couldn’t agree more. The mouse has to be really worked on. If they get it fixed then this will be truly a complete package. It’s powerful and affordable, which can’t be said about the EEE anymore. If you have noticed that the right margin of the mouse pad next to the right button is actually a scrolling wheel. But it doesn’t perform consistently; I think the problem is that when the page is still loading, it won’t respond to the scrolling. sometimes it will have a mind of its own. i wont even touch the mouse and it will click on something.its kind of annoying but eggg whatever. Why so serious? The mouse is perfect the way it is. Stop hating. I have a problem with the web cam…My husband had just bought it a month ago but now when i’m using it in Yahoo Messenger, the web cam stats to blur and it appears the pixels are not intact(i just can’t describe what it is). can anyone help me o fix this cam….i have already reset it twice but still the same. I just got this machine but I also hate the mouse! Can anyone tell me what mouse is compatible? Right side USB ports don’t work at all, I just bought this yesterday, does anyone know how to open them or is it just a defect on my particular laptop? I want to plug in a mouse and I’m right handed. Strange that the left USB port works fine with my mouse…. It should work right out of the box whether it is a Linux OS or Windows XP. If it isn’t working, try some other random USB devices to see if any of them are getting recognized. If they are working on the port on the left but not at all on the port on the right, then something is wrong. If the place you bought it from has a return/exchange policy, I’d take advantage of that ASAP! Thank you! I even deleted all USB from the Device Manager and restarted so maybe the could update with new drivers but they are totally powerless, so now I have to take it back, which I was trying to avoid. I’m sure it’s a defect and hopefully I can get it replaced. Thanks again for the prompt reply…. I’m glad it worked! Enjoy your notebook! I just purchased a new Aspir One and have absolutely NO IDEA how to use the webcam. Any advice? Thank you SO much for this review! I’ve been searching for a couple hours for a review like this! I am a club DJ, and was looking for a cheap machine to run an audio playback program off of (Serato). It basically just plays 2 MP3s at the same time, and this looks just fine for it. How do you install office student teacher edition without a cd drive on the aspire? I have the Cd from my old laptop. ooops the Aspire one (that doesn’t have a cd drive)…?? ?